I am a victim of my own writing predilections, and also a beneficiary of them. I write historical fiction, but at my core, I treasure the freedom to make and break the rules of the factual and natural world offered by the fantasy genre. I love learning and writing about how people lived in the distant past, but am less intrigued by stories of real personages out of history, who tend to from the upper classes of society, and instead prefer the historical equivalents to people more like myself. I’m dedicated to creating a strong sense of place for the reader, for whom distant past settings are likely very alien and divergent from modern life and sensibilities. Yet not even historians know for 100% certain what in the past was like, thus reference books, Google Maps, and even visiting specific locations in their present-day incarnations can only offer so much insight. These three writing preferences converge upon a common point, that being the point where there is a gap in recorded history. I experienced such a gap in my novel-in-progress: in one of the English towns where much of the story takes place, there is no recorded history that I’ve been able to find between the years of 1086 and 1316. There isn’t conclusive evidence that a castle existed there, but I’ve gone and created one all the same, designing and describing its layout and lifestyle to suit the needs of my story’s plot. As I mentioned in a previous post within this series, historical fiction and fantasy share a need for detailed world-building, yet differ in that with historical fiction, you have to look all those details up whereas in fantasy, you have to make them all up. Well, when it comes to places and situations for which there is little recorded history, the historical fiction writer gets to make up stuff as well, thus revealing another meaning to the title of this post series: building a history. But just how much history does one need to build? The answer to this question can once again be found through an examination of fantasy, particularly, the grand-master of the modern fantasy genre, J.R.R. Tolkien. Tolkien is, of course, the author of the fantasy classics Lord of the Rings and The Hobbit, both of which have been enjoyed by countless readers. I’m willing to bet, though, that far fewer have read Tolkien’s The Silmarillion. 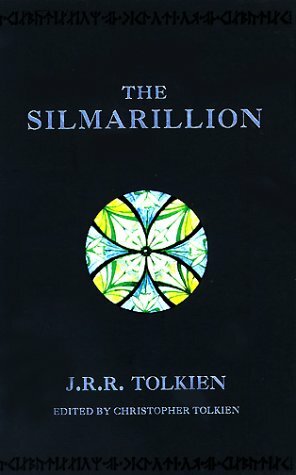 The Silmarillion is essentially the bible of Middle Earth – the story of everything that happened in Middle Earth leading up to the events of LOTR. 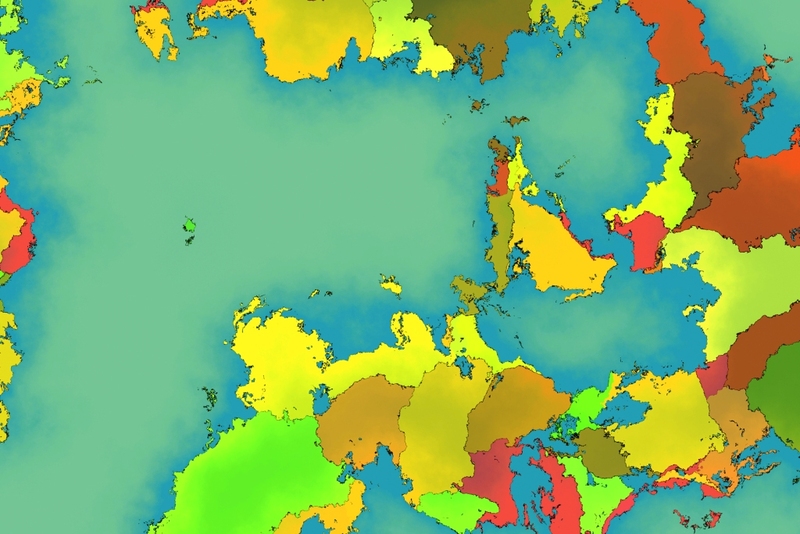 It is a strictly narrative piece (i.e. no direct dialogue) that outlines the creation of the elves (and later dwarves and men) by the gods, the elves fall from grace, and the elves epic history during the First Age of Middle Earth with the silmarils, the rings, and the various wars against the shadow. I actually enjoyed The Silmarillion much more than LOTR. One reason for this is because, unlike The Silmarillion, LOTR is milieu story (The Silmarillion is more of an event story). Generally the stories I like best are character stories, yet in LOTR, the only truly fleshed-out character in the book is Middle Earth itself. As well, I find that LOTR suffers from excessive dialogue lumps (which are little better than expository lumps) that convey heaps “information” but very little “character”, and also subplots and tangents that convey much of Middle Earth’s history but do little to advance or enhance the main storyline. Again, these are common traits of a milieu story. The other reason I enjoyed The Silmarillion more is because it taught me an important lesson about world-building, or as it tends to be referred to outside of the fantasy genre, backstory. Not all novels are as epic as LOTR and not all writers as linguistically- and culturally-inclined as Tolkien, or the fantasy genre in general. Yet every novel has some manner of backstory associated with it. This is because novels are meant to simulate real-life events, and real life doesn’t exist in a vacuum. Rather, it is informed and influenced by everything that happened up to the moment present events take place. The Silmarillion is a work of some 450 pages, and LOTR is a novel in three volumes. Hardly anything that occurs in The Silmarillion receives more than a one-off mention in LOTR; likewise hardly any of it needs to be better explained in LOTR since it’s irrelevant to the plot at hand. This, to me, was a striking example of just how much world-building or back-story is often required just to come up with that one-off mention in a novel. That is to say, how much the writer has to know about his/her story and all its past events, even though, in the name of maintaining a cohesive, streamlined, forward-moving plot, the reader generally gets to learn almost none of it. The Turkey City Lexicon is a compendium of sci-fi and fantasy clichés and pitfalls (that are applicable to all genres, in my opinion). One such entry in the Lexicon – “I’ve suffered for my Art (and now it’s your turn)” – is an admonishment against overloading the reader with irrelevant information. Even though my novel-in-progress is historical fiction, this warning still rings true – perhaps even because my novel is historical. I’ve done a tremendous amount of research on thirteen-century England that could very easily overrun my actual story if I felt inclined to boost my ego by trying to showcase it all. The fictional history of a castle that did (and still does) exist in a different town, whose real history I had to pick my way through like a field full of cow patties. For my novel, I’ve written about seven pages of backstory (it was originally 17 pages back when the novel began as fantasy), as well as a four-page timeline summarizing relevant (made-up) events that occurred up to 29 years prior to the start of the story interspersed amongst real moments in history. Only about three pages worth this backstory had found its way into the main text of the novel. And even this is sprinkled in one or two paragraphs at a time. Last thing I want is for it to read like the Book of Genesis. The writer needs to know everything – the answer to every question about what came before – and dole out just enough of it (quickly enough) for the reader to be able to rationalize present events and figure out why things are currently the way they are. Any more backstory than that, especially when given in slow, dense, dumps of information, not only does the reader suffer, the forward motion of the tale does too. Writers of all genres, what methods do you use to create effective dialogue? Writers of historical fiction, can you think of any other useful strategies for making dialogue sound like it’s from the past? Consider leaving a comment. This entry was posted in Building a History, Post series, Writing and tagged Fantasy, Historical fiction, How to write, Novel, Novel writing, Research, Writing. Bookmark the permalink. ← Don’t forget you can make a telephone call with your mobile! Thanks Dianne. I actually really enjoy thinking about and writing backstory. It always makes the characters seem less like something I’ve created and more like they have their own lives outside of me and stories I tell with them, and that I merely discovered them at a moment in time.